My old boss Donna sent me this when we first moved. I don’t think I’ve ever included it in a blog post. 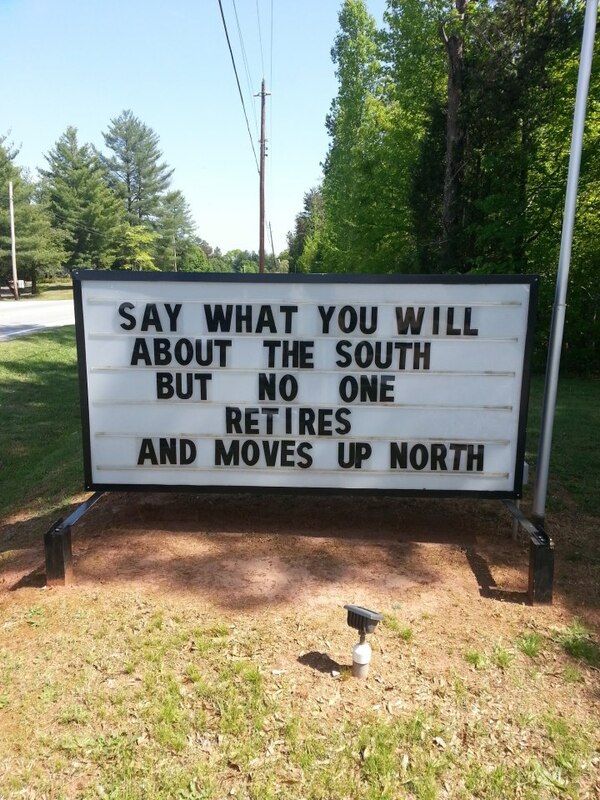 I guess this sign was talking about us since we retired up north! We’ll be back south during the winter but at least for now we’re retired Northerners. 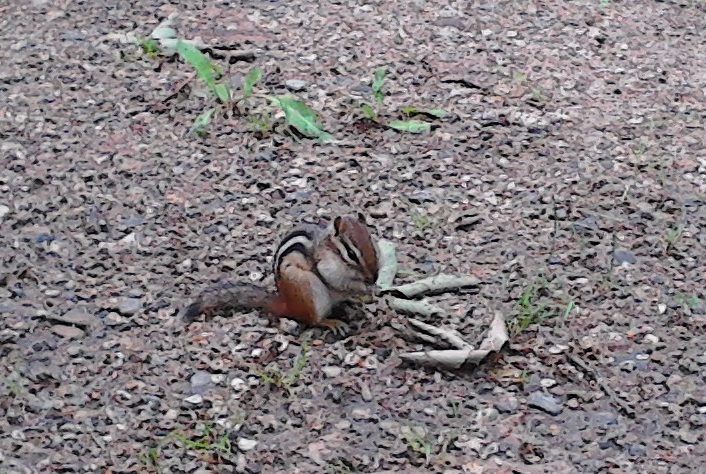 We have two little chipmunks that live here and entertain the guests and us! Some of the guests have told us the chipmunks have been here in previous years. I think they are tiny but I understand that’s their normal size. I guess after seeing Alvin and the Chipmunks I just imagined them to be sort of cat size but they are not. They are so friendly and use to humans that they will come up to you and hangout but they are frightened away if you make a sudden noise or sound. Here’s a picture of one of them I saw while going from cabin to cabin on Saturday. There are very special duck like birds here called Loons. The common loon is the state bird of Minnesota. 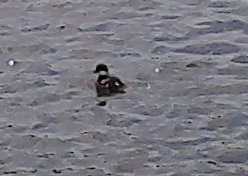 It is black and white and looks like a duck but that’s where the similarity with a duck ends. It doesn’t quack like a duck but rather has this eerily beautiful call that can be heard on the lake in the evenings and at night. They mate for life and I’ve heard it’s illegal to own or kill one. We hear them every night and we understand that their calls are the mates calling to each other to keep in contact. The other day a baby loon followed some of our guests in and was separated from its mama. It went all over our part of the lake looking for her and finally scampered (that’s how they get across the water) farther way than we could see. While it was up close we took some pictures. It’s a tiny little thing so I cropped the picture so you could see it better. Roy is outside installing the replacement door awning we ordered on line. Before we left Louisiana a wind and hail storm tore the awning over the front door off. 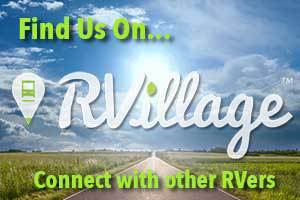 The insurance paid to replace it and we asked Dixie RV to order us a new one. After a couple of months and us already being on the road it arrived here in Minnesota broken. We returned it and received a replacement, again broken. The second time Roy asked Dixie to give us our money back and he’d order it elsewhere. Roy found a company that makes them and ordered one from them, received it in three days and it’s not broken so he’s installing it today. It will be nice to once again have an awning over our heads when we walk out Dora’s door. Yesterday evening we cooked some good old Louisiana catfish that we brought with us from Louisiana, built a campfire and enjoyed the outdoors all evening until it got dark around 10 pm. We’re barbecuing steaks this evening so we’ll probably do the same thing since the weather is so beautiful and clear right now. It’s so quiet outside in the evening without Annie and Russ to share them with. We really miss their presence and I wanted to let everyone know that Annie is healing well and she has been recuperating at a friends house in NC. 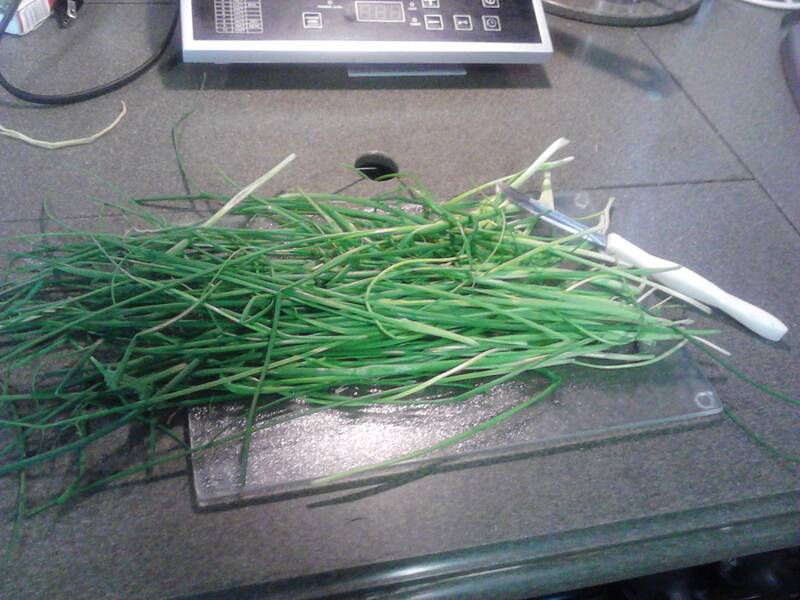 We have an herb garden here for all the guests to enjoy and I just came back from picking some green onions for our baked potatoes. I chopped up a bunch of sage, rosemary, thyme, basil, oregano and parsley the other day from the garden and froze them. I’ve never had an herb garden before and look forward to using them in my cooking. We’ll be heading out to our first BINGO night at the Kabetogama Community Center this evening! Ya’ll get outside and enjoy the beauty of God’s world and come back now, ya’ hear! < 07.08.13 Super riding toys!